latest scientific research on human evolution and biology with Small's own keen observations of various cultures for a lively, eye-opening view of early childhood in America. Small not only reveals how children in this age group socialize and absorb the rules that underlie the societies they live in; she also explains the extent to which parents enhance or hold back the emotional and psychological growth of their kids. In her engaging style, Small blends memorable accounts from her own experiences raising a preschooler with fascinating findings from her pioneering cross-cultural research, which spanned the country as well as the globe. Covering myriad aspects of the miraculous process of human growth, Small breaks new ground on topics such as why childhood is the optimum time for acquiring language skills; how children absorb knowledge and learn to solve problems; how empathy, and morality in general, make their way into a child's psyche; and the ways in which gender impacts identity. Underlying each chapter is an illuminating discussion of how the roles parents assign children in America shape the self-esteem and self-image of a future generation. 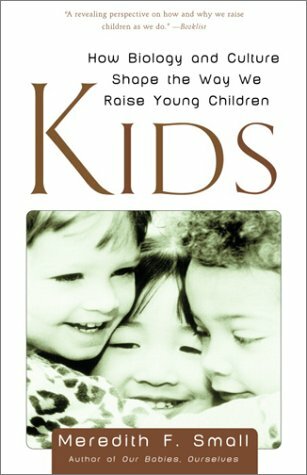 Rich with vivid anecdotes and profound insight, Kids will cause readers to rethink their own parenting styles, along with every age-old assumption about how to raise a happy, healthy kid.